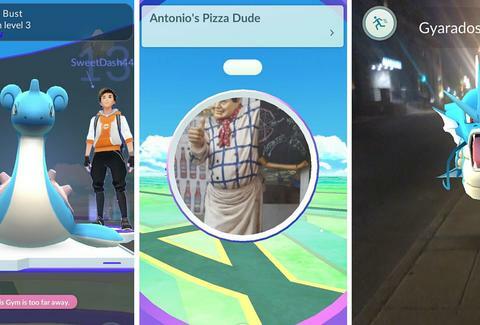 It took only a few days for Pokémon Go to become a cultural phenomenon. It's everywhere, and it's really annoying some people. For some restaurant and business owners, it's become a pain. But that pain might turn into an opportunity. Sponsored locations are likely coming to Pokémon Go, allowing businesses to become hubs for the game, and getting charged a premium for the privilege. Niantic CEO John Hanke told the Financial Times on Wednesday that this may be coming sooner rather than later. In addition to the in-app purchases available, sponsored locations will become the booming company's second revenue stream from the game. It sounds like an invisible guiding hand pushing all the people with their face buried in the game toward favored locales, instead aimlessly around Central Park. "There is a second component to our business model at Niantic, which is this concept of sponsored locations," says Hanke. Companies "pay us to be locations within the virtual game board — the premise being that it is an inducement that drives foot traffic." He likens the "cost per visit" model being discussed to the familiar "cost per click" model for advertising used online. It remains to be seen how this will actually impact the game and how businesses that gain that foot traffic will monetize it themselves. For instance, if a restaurant is a sponsored location are they only allowing people who sit down and eat to hunt Pokémon? And how crazy will the Pokémon hunters drive customers just trying to enjoy a non-Krabby crab for dinner? It may not be too long before answers to these questions are known. Gizmodo reports that a deal may be coming to make McDonald's the first company to try out the sponsored locations option. The Financial Times puts some confidence in Nintendo and their history of being conservative, so as to not upset gamers. David Gibson, an analyst at Macquarie Securities in Tokyo, told the Times, "[Nintendo] knows not to upset players by putting too much commercial stuff in there too soon." So, rest easy hunters of the elusive MewTwo, your digital overlords do not want to rock the boat. They just want to shake down some businesses and maybe grab a little of your personal data along the way.